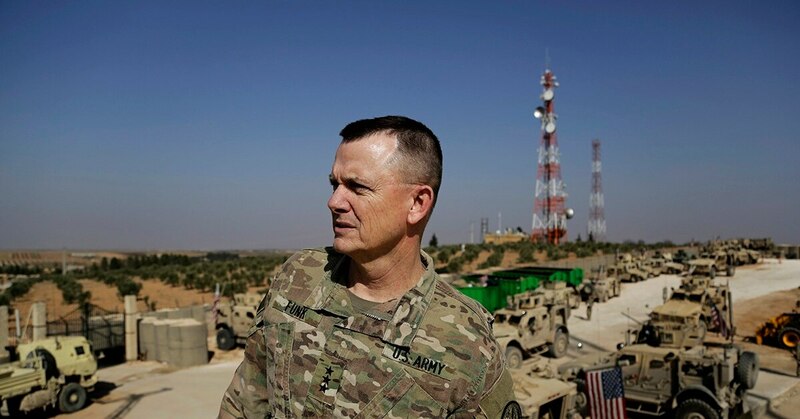 MANBIJ, Syria — The top U.S. general in the coalition fighting the Islamic State group has pledged American troops would remain in the northern Syrian Kurdish town of Manbij despite Ankara’s demands for a U.S. pullout. Lt. Gen. Paul E. Funk’s remarks came during a visit Wednesday to U.S. forces in Manbij. 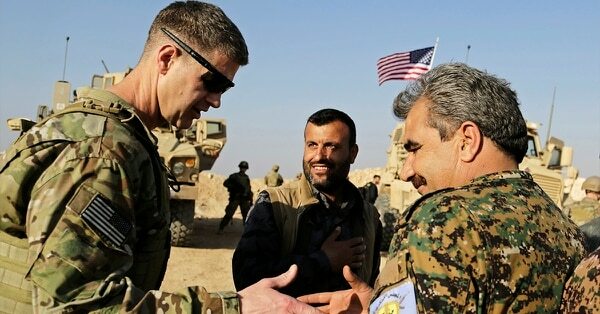 Funk says American forces are in Manbij to support their Syrian Kurdish allies and deescalate tensions after Turkey’s incursion in northern Syria. Turkey launched an offensive last month to drive Syrian Kurdish militiamen out of the enclave of Afrin and has threatened to extend its operation to Manbij. Ankara considers the Kurdish fighters “terrorists” and allied with Kurdish insurgents within Turkey. This raises the prospect of a direct confrontation between NATO allies U.S. and Turkey, on opposing sides in the conflict.